By few been read, by fewer still been prais’d," &c.
But I the true laureat, to whom the king gave it? But vow‘d that till then he ne’er heard of his name." 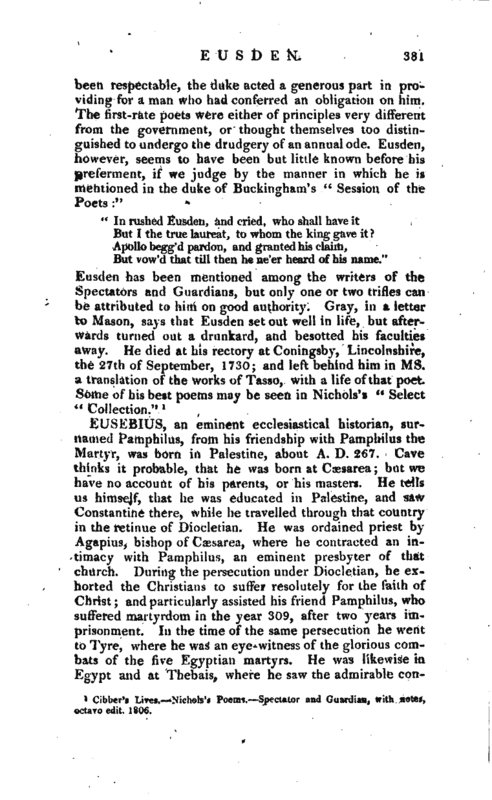 Cibber’s Lives.—Nichols’s Poems.—Spectator and Guardian, with notes, octavo edit. 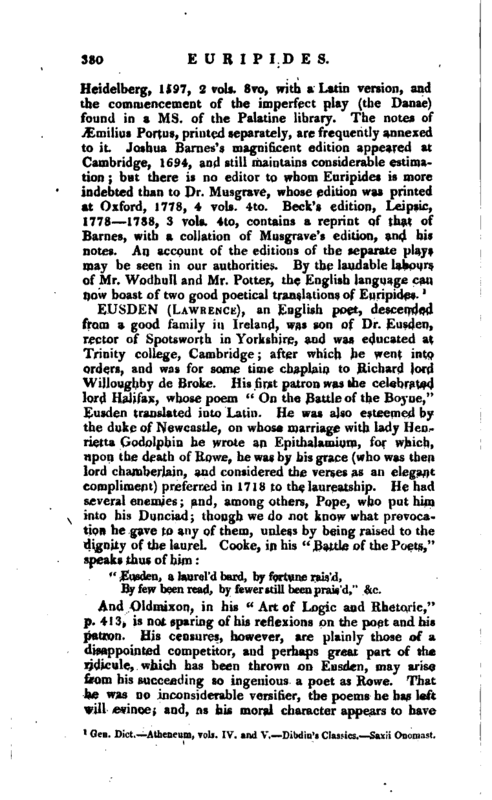 1806.